The information published in the April 2019 issue of AroundDB is incorrect. No Lantau Buffalos race is being held on 21 April 2019. Trophies for top 3 finishers in each category. Maximum of 150 participants. 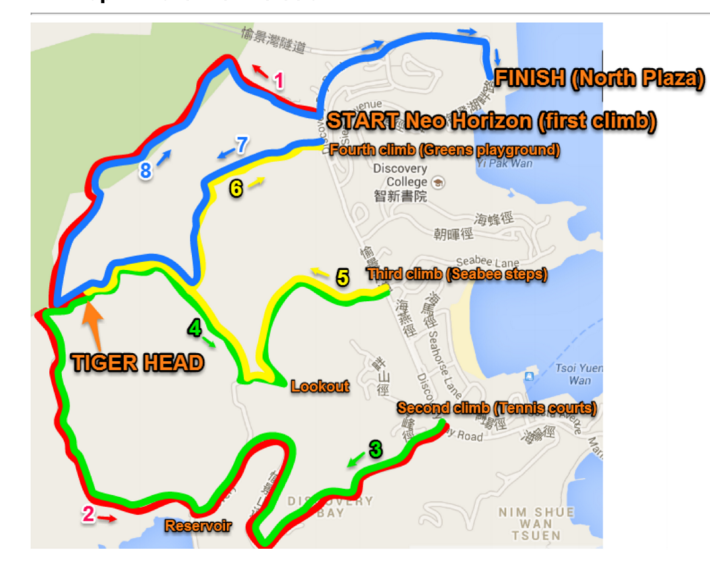 RACE FEE: HKD170 per participant (same price for all ages). Parent/child teams pay for 2 entries (HKD340). REGISTRATION: registration and payment must be done before 10 p.m. Wednesday 18 April 2018. Registration link below. No registration or payment on race day. For parent/child teams, please fill one form for the parent and another for the child. No refunds for cancellation of entry. The race will be cancelled if there is a red or black rain storm warning, typhoon signal 3 or above at 6:00 a.m. on race day. Race registrants will not be contacted individually in the event of cancellation. In this case, a new date will be scheduled for the race. IMPORTANT: when you do the online bank transfer, please send copy of the payment receipt to the race director (events@lantaubuffalos.org). - We require that at least one adult per child volunteers. We need as many marshals as possible to make the race safe and enjoyable for all participants. - Race briefing email will be sent to all participants on Thursday 19 April 2018. - Registration from 7:30 to 7:50 a.m. at Siena Park. There is no race kit to pick up before race day. Please help promote, volunteer, donate prizes or food and enter the following event organised by the Society for the Relief of Disabled Children in Pok Fu Lam and the Crayon Society, who is chaired by Crystal Passarello and supported by Hong Kong and DB's fasted marathoner, Stefano Passarello. Mission of the race: To raise funds for the Duchess of Kent Children Hospital/ Society for the Relief of Disabled Children in Pok Fu Lam, to promote an active lifestyle for all as well as encouraging parents to do physical activities with their children. 8:00 a.m. at the start of the trail at Neohorizon. Teams will work on relay format. That is, all members of a team do not need to do all climbs together. Runners of each team will take turns in doing the climbs. Teams can distribute the work as they please. For example, in a team of 2 one of the runners can do 3 climbs and the other 1 climb. The only requirement is that at least one runner per team does each of the 4 climbs. The handover from one runner to the next (if applicable) to be done at the beginning of the next climb. 4. Up back of Greens, down Neo Horizon and finish at North Plaza. The top of each climb is the white post at Tiger Head. Finish: DB North Plaza (after descent from last Neo Horizon climb). No volunteers or water stations en route. This is not an official race. Registration from 7:15 a.m to 7:45 a.m. No race kit delivered before race day. Categories (female and male): 6-7, 8-9, 10-11 and 12-14 years-old. Trophies for top 3 finishers in each category. RACE FEE: HKD170 per participant (same price for all ages). REGISTRATION: registration and payment must be done before 10 p.m. Wednesday 2 November 2016. Registration link below. No registration or payment on race day. - We ask that at least one parent per child volunteers. We need as many marshals as possible to make the race safe and enjoyable for all participants. - Bicycle must be in working order. There will be a bike check before the race. - Race briefing email will be sent to all participants on Thursday 3 November 2016. Lantau Buffalos Theme Song: "Moooving & Groooving"
This is for all you karaoke and/or multi-sport lovers out there. Be warned, though: this song will SSSHHHTICK to you like no song has ever before!